As always, it’s been an honor and a pleasure working with Nancee Cain for her latest release-Tempting Jo. So thrilled to help Katy Evans in unveiling her soon to be released book–WOMANIZER! Being the only woman working for a professional baseball team isn’t easy. As the San Diego Shock’s newest athletic trainer, Allie knows all about long hours, endless travel, and warding off players’ advances. Given she’s already the subject of a handful of rumors about how “lucky” she was to have earned such a coveted position, she can’t so much as flutter an eyelash a player’s way if she wants to be taken seriously. But number eleven is doing more than fluttering eyelashes Allie’s way. Far more. Luke Archer is at the top of his game and doesn’t let the fear of striking out keep him from swinging. This is a motto he applies both on and off the field, but Allie appears immune, seeming to view Luke as nothing more than caution tape on legs. He’s a player, and in Allie’s experience, they’re all the same. She won’t risk her job or her heart to another one, no matter how different this one claims to be. But as Allie gets to know him, she discovers the number eleven the public thinks they know is very different from the real Luke Archer. He seems too good to be true. 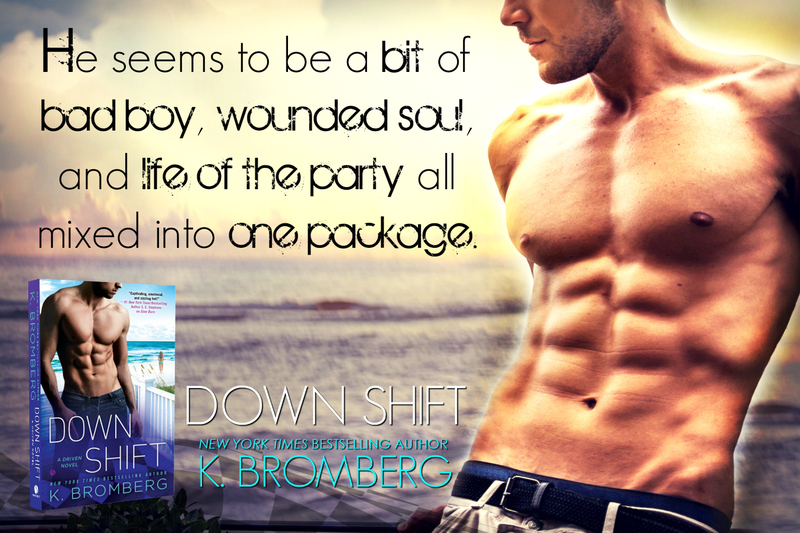 Allie will have to confront the stories attached to a player of Luke Archer’s stature and decide who she’ll put her faith in—The man she’s falling for? Or the rumors? “Shouldn’t you buy me dinner first or something?” Archer smirked at me when he lifted up onto his elbows as I tugged his sweats down his legs. As I came around the side of his bed, it took all of my concentration to focus on the compress I needed to unwrap instead of what was resting just a little higher. At least he had underwear on, but it wasn’t like they provided much coverage. Especially when what was tucked inside them looked about ready to burst free. And dammit. I’d looked. From the way I could feel him watching me, he knew I’d looked too. “Another ice bath. Sounds perfect. Since my balls aren’t already blue enough.” Archer spread his legs open farther as I reached down to unwind the compress circling his upper right thigh. After testing the temperature of the bath, I grabbed one more bag of ice and dumped it in. I’d arranged to have four new bags arrive every few hours through the night so I could mitigate the damage Archer’s pulled groin muscle would have on his season. The team doctor had done an exam in the locker room and assured Coach Beckett that with aggressive care these first twenty-four hours, Archer should be able to play the game in New Orleans three days from now. From my own exam, I knew the doctor was giving Coach a serious case of lip service. The only way Archer would be able to play the Shock’s next game was if we injected him with every illegal substance in this sport and on the market in general. It was a class two pull—no amount of walking off would fix this in a couple days’ time. “Are you hungry, Doc?” Archer called from the other room. I ceremoniously waved my arms toward the bathroom, feeling nervous. I’d given so many ice baths I could have filled an entire ocean with them, but this one was different. It was for Luke Archer. In his hotel room instead of the locker room. Plus, back there, the entire coaching and medical staff had been present, pow-wowing a plan of treatment. No one else was here now though. Just me. Just him. And a locked door. “Dinner?” Archer waved the room service menu at me. for making this blog tour possible. 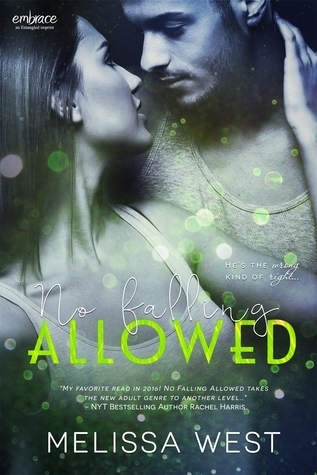 Today we’ve got an exclusive excerpt for you from No Falling Allowed, book 2 of No Kissing Allowed by Melissa West. It’s funny you might swoon a little.